Philippine President Rodrigo Duterte is violently repressing socialist and communist groups by dubbing them "terrorists," in what ex-lawmaker Walden Bello says is a dangerous threat to democracy. BEN NORTON: It’s the Real News. I’m Ben Norton. Thousands of people have been killed in a bloody war on drugs in the Philippines in the past two years. This extremely violent crackdown has been led by Philippine President Rodrigo Duterte. Duterte has compared himself to the genocidal Nazi dictator Adolf Hitler, and vowed to kill millions of drug dealers. RODRIGO DUTERTE: Hitler massacred 3 million Jews. Now, there is 3 million drug addicts. There are. I’d be happy to slaughter them. BEN NORTON: Duterte’s War on Drugs prompted the International Criminal Court to announce in February that it would begin a preliminary examination. Duterte responded by withdrawing the Philippines from the Court’s Rome Statute. Now he has threatened to arrest the International Criminal Court’s prosecutor if she enters the Philippines to begin investigating. This comes a month after the Duterte administration compiled a list dubbing hundreds of socialist activists as so-called terrorists. Among the more than 600 people included on the list drafted by the Philippine justice ministry are a United Nations special rapporteur, a former lawmaker from a left-wing party, and top members of the powerful Philippine Communist movement. In December, Duterte declared the Communist Party of the Philippines and its armed wing, the New People’s Army, to be so-called terrorist organizations, and he has launched many attacks on these communist fighters. Duterte is now trying to get a Manila court to officially recognize communists as terrorists, so he can use this terrorist smear to crush left-wing political opposition and dismantle organizations that may be linked to the communist movement. Joining us to discuss Duterte’s violent crackdown is Walden Bello. Walden is a former member of the Philippine House of Representatives. He’s the author of several books on U.S. relations with Asia, and is now a visiting professor at the State University of New York Binghamton. Thanks for joining us, Walden. WALDEN BELLO: Thank you for inviting me. 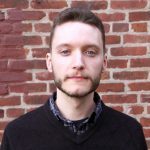 BEN NORTON: I would like to speak in general about the repression of human rights activists, social justice activists, and the left more broadly in the Philippines. But before we get to that, can we speak specifically about Duterte’s threats to arrest the prosecutor of the International Criminal Court? What are your thoughts? WALDEN BELLO: Well, my sense is, you know, this is definitely a threat from Duterte. And will he carry it out if the person, in fact, appears in the Philippines, they start investigating, I seriously doubt that. Duterte has been known to, you know, make all sorts of boasts, and, and then to retract and go back on his word. Promises to support somebody, then withdraws, and has cabinet members that he appoints but he doesn’t back them up. So it’s hard to say what the guy will do. But you know, if I were the ICC I’d, I’d go in, and then let him take international consequences for not allowing you in. So it’s a case of, you know, you have to fight fire with fire. And if you back down from D uterte, then he’ll be more, you know, motivated to, to continue in his very arrogant ways. BEN NORTON: And this, of course, is not the only example of him threatening international agencies, human rights workers, et cetera. I mentioned that the recent so-called terrorist list that was drafted by the Justice Ministry includes a United Nations special rapporteur. Can you speak about this list, and how the Duterte administration is targeting, you know, peaceful human rights workers, and of course, the left more broadly? You know, left-wing lawmakers and people from the socialist and communist movements. WALDEN BELLO: Well, you know, for me I would first of all say that, you know, the main target that he has, you know, gone after are drug users and drug dealers. And this is, of course, you know, a terrible, terrible thing that has happened, and it’s basically scapegoating a certain part of society and using them, you know, as a mechanism to get himself to be popular. You know, the, you know, the Senator Trillanis, one of the senators in the Philippines, using data from the government itself has in fact revealed that some 20000 people have already been killed, either by the police or by vigilante groups that are mainly really police, you know, linked to the police. So this is, you know, this is a fairly big number of people that have, have already been killed. So this is a massive human rights violation. So you know, for Duterte, drug users and drug dealers are, are the sort of scapegoat that he uses. That is the equivalent of truth in Nazi Germany. And so that’s that’s the first thing to point out, that really it’s poor people. Poor people who, you know, who are suspected of being drug users. You know, these are the, these are the people that have been targeted. Big drug lords, you know, it’s, many of them have not really been caught, or they’ve been dealt with quite leniently, if they agreed to, to serve as, you know, witnesses against Duterte’s political enemies like Senator Leila de Lima, who’s now in jail. 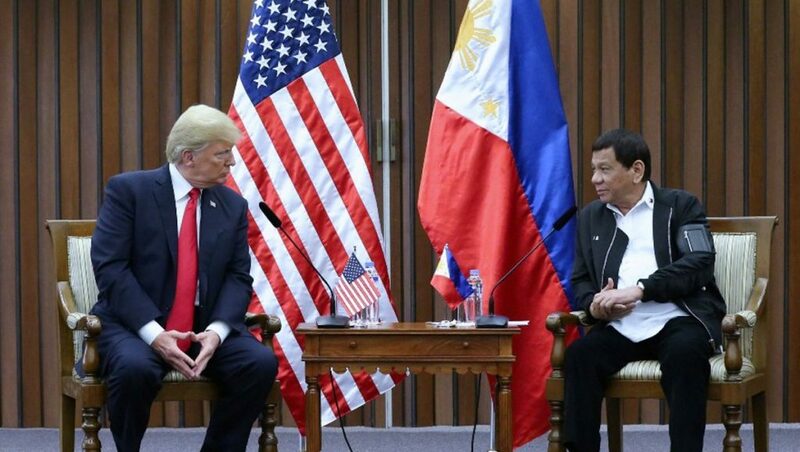 If they agreed to cooperate with trumped up charges, then the big drug use, drug dealers, get, you know, basically they get much more lenient treatment from, from Duterte. So I think that’s important to put that. As for human rights activists, the main thing that has, that Duterte has deployed against them has been, you know, so far rhetoric. I mean, he has cursed them. He has said that they, you know, are, are, you know, putting a bad face to the Philippines internationally. But in terms of actually physically attacking human rights activists, that has not yet really happened, although, you know, we would not be surprised if, if it comes to that point. It’s been mainly trying to discredit them at this point in time. He has tried, in fact, to discredit the, the Commission on Human Rights and the current commissioner on human rights in the Philippines, and calling him all sorts of names. Then there is the traditional left in the Philippines. And this is a much more complicated thing. First of all, I think that this terrorist list is, you know, is something that must be opposed. And you know, that, you know, the, the terrorist list, whether, you know, whoever is put in it, you know, this is really something that is, you know, is, is something that that could lead to really widespread extension of the attacks that have been made against drug users. BEN NORTON: Yeah. And on this note, if I can jump in for a second, what I’m interested in is this, the use of this word, ‘terrorism.’ This, of course, is not unique to just the Philippines. It seems to be something that’s an extension of the kind of war on terror rhetoric, if you will, that originated here in the U.S. And perhaps can you maybe link the two? It seems that Duterte is taking advantage of this climate of ISIS extremists, al Qaeda, the war on terror, and using this label to apply to other groups that have nothing to do with ISIS, al Qaeda, and extremist Islamist groups. Of course, we did see that there was a fight against Maute, which was an ISIS-linked group in the Philippines, in Mindanao I believe. But of course, there’s this attempt by the Duterte administration to link together all of these political tendencies in order to effectively eliminate his opposition. Do you think that that is essentially the tactic that is being used here? WALDEN BELLO: Yes, definitely. And I mean, the, you know, this whole branding of groups as terrorists, of course, began with the U.S. State Department. And in fact, the U.S. State Department was the one who originally put the Communist Party in the Philippines and the New People’s Army on the terrorist list. So you know, he’s learning from from the U.S. He’s taking basically, you know, he’s taking basically the techniques, the strategies of the U.S. in terms of branding certain groups as, you know, as in fact terrorists. And let’s, let’s, let’s face it. The, you know, Duterte, I mean, the U.S. has been very heavily involved in the war on so-called terror in the Philippines. And it has worked very closely with the Philippine military. Duterte, yes, he seems like he is, he, you know, he has this image that he is in opposition to the United States, but he does not interfere when the Philippine Army and the U.S. intelligence and Special Forces people work together against different groups in the Philippines. So, so you know, yes, definitely. This this sort of use of the brand ‘terror’ is something that is he has directly appropriated from the United States to go after his political enemies. The only thing that, that one must point out here is that, you know, the many, you know, the traditional left, you know, was originally in the Duterte government. You know and in fact they had many, they had a number of of political positions. And what is happening now is that that sort of relationship whereby the traditional left wasn’t the government has soured for a number of reasons. But you know, what I wanted to bring up here is that other groups in the Philippines, other groups within the left in the Philippines, had, had consistently been against the Duterte administration from the very beginning. And that has to be recognized that, that, you know, the broad, you know, members of the broader left have consistently from the very beginning said, this guy is a dangerous person. He is going to be violating human rights. He is a threat to democracy. And I think that’s got to be recognized now. It’s, my sense is it’s good that the traditional left has come to its senses, and you know, has come out in strong opposition to Duterte. But I think that they should have done that from the very beginning. And having said that, I would say that it’s very important that all groups, all people in fact, come together and denounce and oppose this kind of terrorist labeling, whatever group it falls on, this one, this, this kind of terrorist labeling in order to be able to become the targets of political, of Duterte’s repression measures. You know, that is a very important thing that all of us on the political spectrum should do. BEN NORTON: Well, here we’re going to have to end Part 1 of my discussion with Walden Bello. In Part 2 of our discussion we’re going to discuss how the victims of the so-called war on drugs in the Philippines are not drug dealers themselves, you know, rich drug dealers. Rather it’s actually a lot of poor drug addicts. And we’ll talk about how the class basis for a lot of these far-right populist movements is not actually primarily among or in working class people, but actually more among the middle class. Walden Bello is a Former Congressman, serving three terms. He resigned owing to differences with the former administration of President Benigno Aquino, including Aquino’s close relationship with the United States. He co-author two joint resolutions seeking the termination of the Philippines’ Visiting Forces Agreement with the United States.